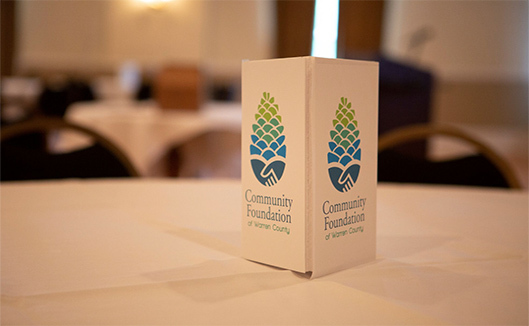 Since the Community Foundation of Warren County began their Warren Gives campaign in 2013, the annual event has brought in almost $2 million to charitable organizations serving Warren County, with donations growing each year. This year was no exception, as Warren Gives raised a record-breaking $448,330, a $34,329 increase from 2017. The total includes $40,000 in match dollars donated by the Community Foundation, Betts Foundation, Blair, Defrees Family Memorial Fund, Northwest Charitable Foundation, Sara Sokolski Memorial Fund, United Refining Company, and a new donor, the KCS Foundation. For most organizations the match amounted to a 10% increase on the dollars donated during the event. John Lasher, Executive Director of the Community Foundation and the emcee for the evening, was equally thrilled about the results of this year’s event. “Year by year we have grown,” Lasher said. “We are excited by that. It’s really a testament to all of the organizations that reach out into the community and raise awareness.” John shared the high points of Warren Gives, including the total number of dollars donated ($408,330), the total number of donations (4,092), the number of unique donors (1,248), the average donation amount ($100) and the average donation per unique donor ($327). The Community Foundation also presented special awards of $200 to Miracle Mountain Ranch for most donations from different states (25), the Grand Valley Fire Department for most improved donations received by dollar percentage (635%), and the Woman’s Club of Warren – Education, Scholarship, and Historic Preservation for most improved number of donations received by percentage (57.5%). Following the special awards, each organization received its donation check with an enthusiastic clap from the audience. The top ten earning organizations were saved for last, with Struthers Library Theatre in first place at $35,154—followed closely by Paws Along the River Humane Society at $25,641 and Wildwoods Animal Park at $24,590. Other organizations in the top ten included: Warren YMCA, Warren Public Library, Boy Scouts Chief Cornplanter/Olmsted, Hospice of Warren County, Warren Philharmonic, Ruth M. Smith Center and Miracle Mountain Ranch. 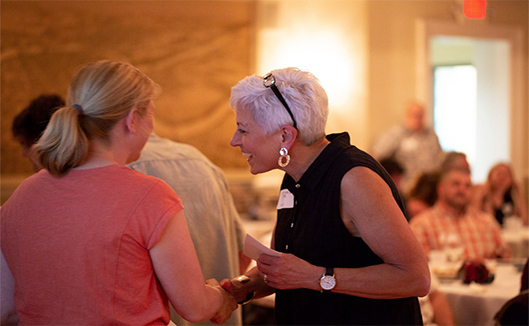 Before receiving her check as the highest earner, Marcy also announced that after 11 years as Executive Director, she would be passing the torch to Wendy McCain, a Warren County resident who was selected after a nationwide search by the Trustees of the Struthers Library Theatre. 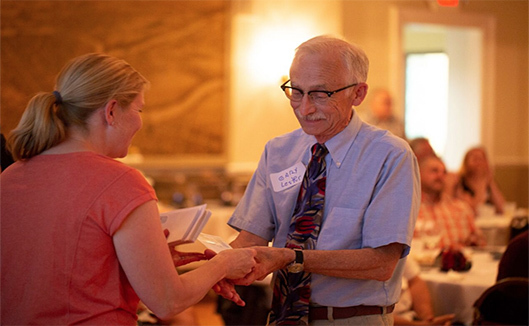 Not only does Warren Gives bring organizations and residents together for a common goal, it also helps promote trust, recognition, goodwill and a true sense of community. 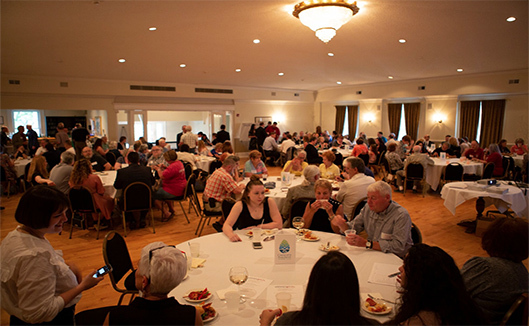 By continuing to raise awareness and appreciation for these non-profits and their importance to Warren County, the Warren Gives campaign is certain to grow in years to come.